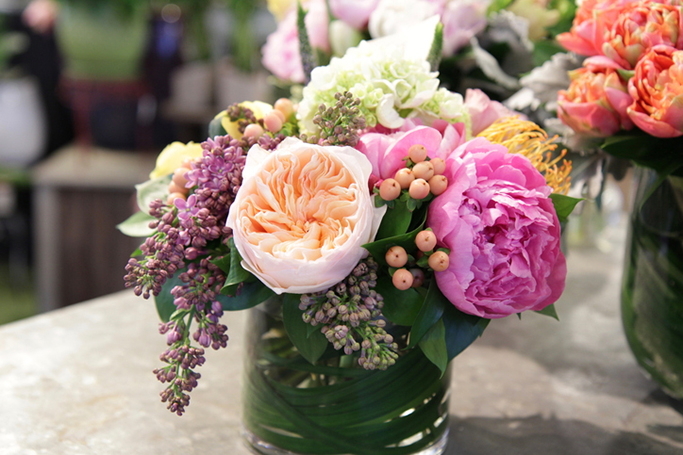 Invite the essence of spring into your décor with faux floral arrangements that could include orchids, roses or pink peonies, to create a botanical haven that looks just like the real thing. Spring is the best time of year to re-decorate and spruce up your home, as we have the perfect way to bring nature indoors and give your space a fresh feeling. As beautiful as live blooms are, it’s difficult to make them last, especially in Dubai’s hot climate, as synthetic flowers are no longer a design faux pas, but are instead considered a stylish statement and a cost effective alternative. From a dining table centrepiece to a delicate display on your windowsill, faux florals replicate the natural beauty of flowers and carry colour into your interiors. Here in Dubai, it’s important to add greenery into your décor, as modern and monochrome interiors need to be injected with the vibrancy of flowers which will last forever. A floral decoration holds huge significance in the home, as you should further consider the arrangement of your bouquets –from the choice of pot to the selection of blooms. As the right foliage feature will add a rustic charm to a once blank and lifeless space. Faux flowers are great for allergies, pets and small children in the home, but it’s key to regularly clean your display to avoid that layer of dust which is bound to build. When buying artificial foliage try to invest in high end flowers with realistic detailing and even a little asymmetry –as real flowers aren’t perfect! Use your floral arrangements as decoration to enhance your home décor, so don’t go over-the-top with styling and bold colours which are unnatural. You can even mix both real and fake flowers, to add extra texture and depth, whilst you build an aesthetically pretty display. You can even add fake water –for an extra realistic touch!